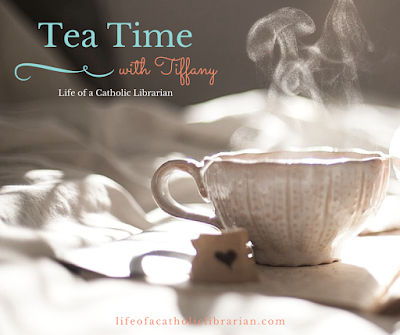 Life of a Catholic Librarian: Tea Time with Tiffany #17: Waiting! In coming up with a topic for the week, I had dwelled on this during my commute in to work, and spent some time contemplating the future structure of these videos. I'd love your feedback on that! I also talk about that, and other projects (the podcast! future novena planner/calendar/newsletter/something?!) as well as our prayers, in the context of...waiting. Waiting on God for resolutions to our questions. We're currently praying the St. Therese novena until Oct. 1st! 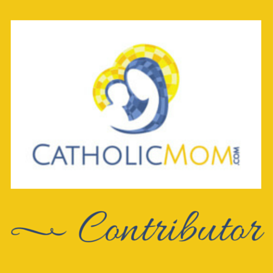 I hope that you enjoyed the 54 day rosary novena, if you participated in that. We'll pray another one again next year! New chaplets have been added to the Chaplets audio recordings page! Go check it out to pray along with me. Future novena planning tool that we can share together. Link coming your way in 2016! So. Do you have any video or audio ideas for me? Thoughts on awaiting answer to prayer? Google calendar for novenas or something else? Let me know your thoughts!